DKT provides an extensive range of coaxial cables for indoor and outdoor installation, most of these being manufactured by Cavel. Cavel has produced cables since 1968, and offers a 15 year warranty on its Cavel branded cables. All cables have 75 Ohm impedance, which is suitable for CATV networks. 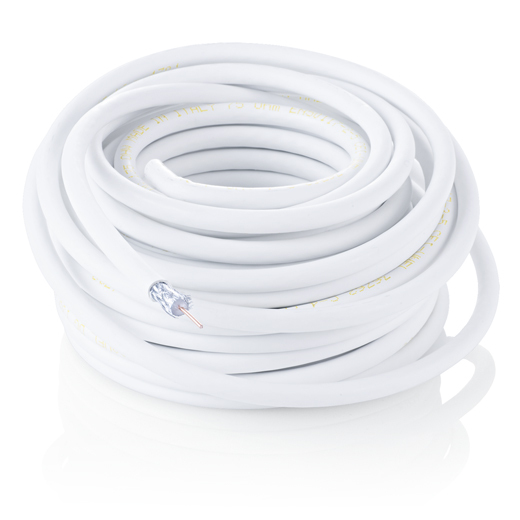 To select the correct coaxial cable one must first know if the cable will be installed indoor or outdoor, including underground installation. Below are two tables, one for each installation environment. Next there are two important parameters; the signal attenuation along the cable and the screening attenuation. The signal attenuation along the cable is typically stated as dB per 100m. This attenuation is frequency dependent where the attenuation increases approximately in accordance with the square root of the frequency. 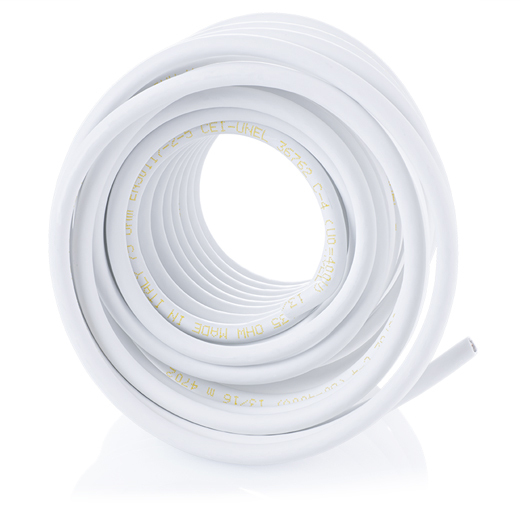 The attenuation is primarily specified by the thickness of the cable’s inner conductor. The thicker the inner conductor, the lower attenuation. The screening attenuation is a measure of how well the cable is isolated against airborne RF signals, for example those from mobile phones. The screening attenuation is primarily specified by the construction of the outer conductor, typically consisting of a sheath metal foil, a braiding of thin metal wires, and perhaps yet another sheath metal foil. 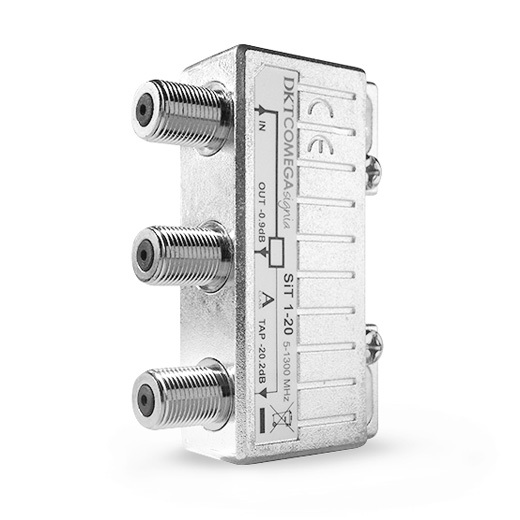 For coaxial cables the class of screening attenuation is defined in the EN-50117 series. Here Class A++ is the best screening attenuation, followed by Class A+, Class A, Class B, and Class C. The Class A screening attenuation is a minimum of 85 dB in the frequency range 30-1000 MHz. This is typically sufficient to isolate a DVB-C signal from unwanted noise. 1 The dimensions are the diameter of Inner Conductor / Dielectric / Outer Sheath. 2 Attenuation at 1GHz of a 100m long cable. Need something, beyond cables, to tie your network together? This white paper describes the requirements to screening attenuation of cables and other components in the CATV coaxial networks.